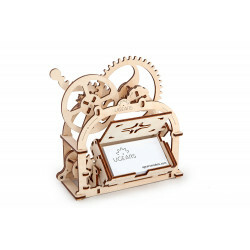 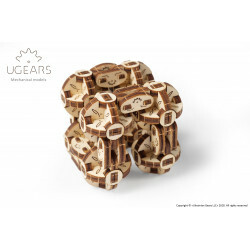 Unique wooden constructor by Ugears. 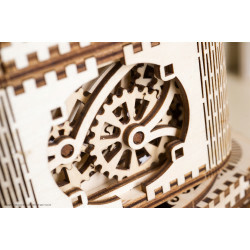 Made of sustainable, eco-friendly wood, Treasure Box assembles easily and without the need for glue or special tools thanks to our patented plywood joints. 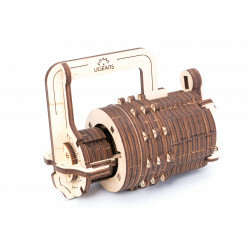 Hide your secrets from everyone! 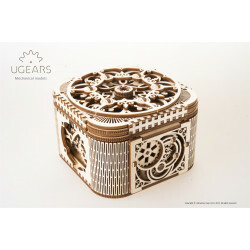 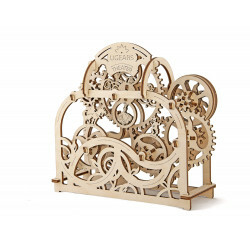 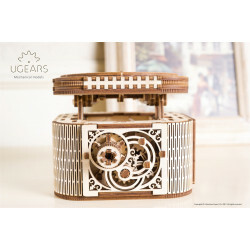 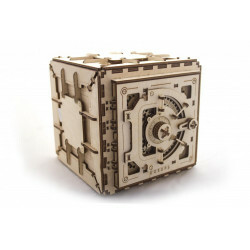 UGears Treasure Box is considered to be the pearl of the collection of mechanical 3D puzzles by UGears. 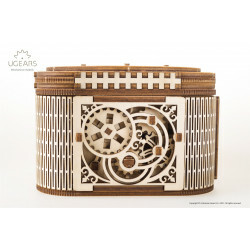 The box in the steampunk style is distinguished by the refinement of the lines and the unique mechanism: to get to the treasures hidden inside, it is necessary to solve a complex puzzle. 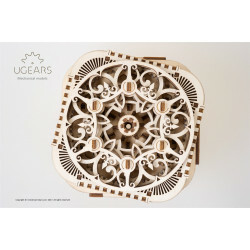 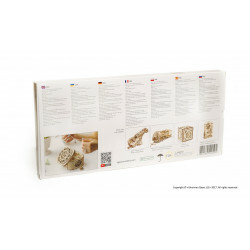 The model is made of eco-friendly wood and is assembled without the use of glue. 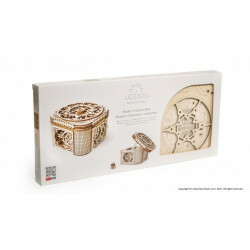 To open the Box, you will need a key that is built into the lace cover. 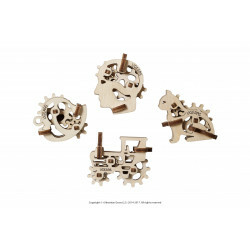 Turn the key mechanism clockwise and remove the key. 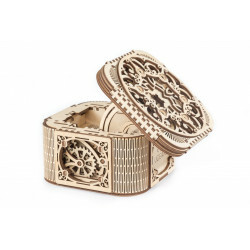 To open the lid of the Treasure Box, turn the key anticlockwise. 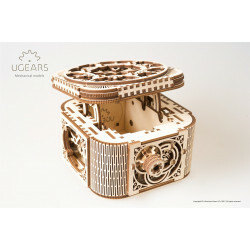 The mechanism is unlocked, the gears will move and the lid will open, opening the Box with your secrets. 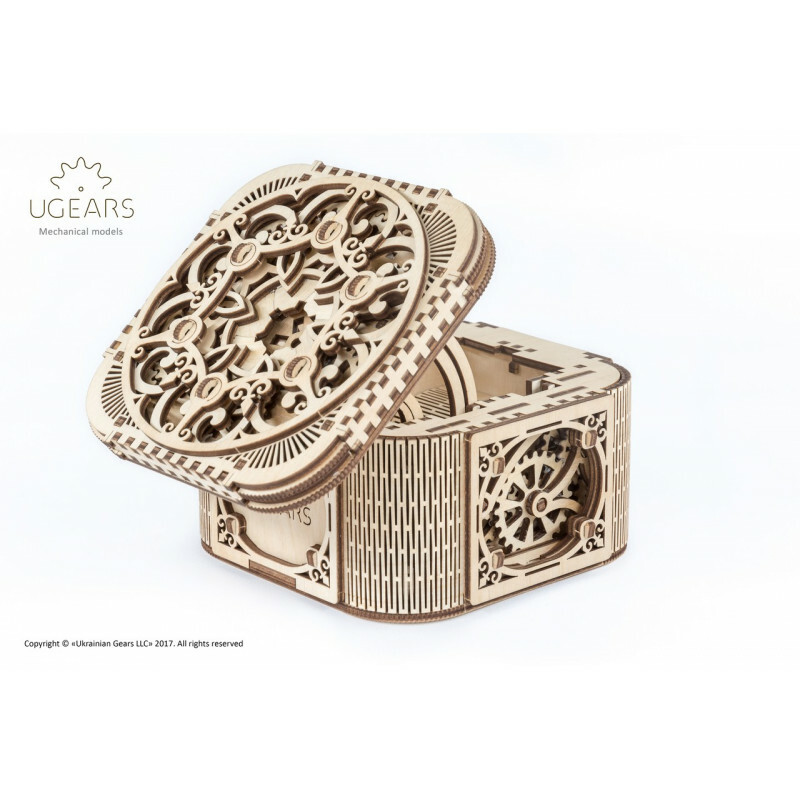 The jewelry work of UGEARS engineers has made it possible to create a unique piece of art that will not only decorate your interior, but also keep your treasures and secrets safe.